The Children’s Health Defense has published videos highlighting the chronic health issues plaguing our children. Everyone—children, parents and family, education leaders and teachers, health care and insurance providers, cutting edge businesses that employ graduates, our country’s military—has a stake in this fight to restore our children’s health. As children are the keys to our successful future and prosperity, we don’t have a moment, or the health of any child, to lose. American children’s ability to develop and thrive is being sabotaged by an avalanche of chronic ailments, with pediatric rates of some chronic conditions among the highest in the world. Behavioral and developmental disorders have become epidemic in our children. One in every six children today has been diagnosed with a developmental disability, such as autism, ADHD, or learning disabilities, according to research from the Centers for Disease Control and Prevention. That’s 1.8 million more children than were diagnosed with similar conditions in the late 1990s. And nearly twice as many boys as girls have these conditions. American kids are 70 percent more likely to die before adulthood than kids in other rich countries with mortality of kids in the US higher than in peer nations since the 1980s. American children are also the most highly vaccinated in the world. Since 1990, when the U.S. began substantially expanding its vaccine schedule, the number of vaccines required for school entry has increased by approximately 260%. Currently, children receive repeated shots for 16 separate illnesses. Counting vaccines administered during pregnancy and yearly flu shots, by the time our children are 18 years old they have received up to 73 doses of vaccines! As part of our continuing efforts to restore child health, the Children’s Health Defense is launching a set of videos highlighting the chronic health issues plaguing our children. Everyone—children, parents and family, education leaders and teachers, health care and insurance providers, cutting edge businesses that employ graduates, our country’s military—has a stake in this fight to restore our children’s health. As children are the keys to our successful future and prosperity, we don’t have a moment, or the health of any child, to lose. Still other children suffer from debilitating anxiety, Tourette’s, and sensory issues. Infant mortality (SIDS, etc.) in America is much higher than in other high-income countries while infants receive more vaccines in their first year of life than anywhere in the world. What is happening to our kids? What can we do to stop the epidemics and help those suffering now? We, the people, have got to take on this battle because our federal agencies and children’s healthcare associations are failing us. In October 2017, the Environmental Protection Agency (EPA) called attention to Children’s Health Month with tips for parents. But none addressed the chronic illnesses facing children today. The American Academy of Pediatrics (AAP), the association of pediatricians charged with keeping our children healthy are also letting us down. They know we have an epidemic of chronically sick children yet their recommendations are only for those who are healthy. This chart from the AAP recommends screenings for preventative care and says, “ …these Recommendations for Preventive Pediatric Health Care are designed for the care of children who are receiving competent parenting, have no manifestations of any important health problems, and are growing and developing in a satisfactory fashion. Developmental, psychosocial, and chronic disease issues for children and adolescents may require frequent counseling and treatment visits separate from preventive care visits.” Thanks a lot, AAP! How about suggested solutions to end the worst epidemic of childhood chronic disease in the history of mankind? Vaccine Injuries Can and Do Happen! The Children’s Health Defense believes the testimony of the hundreds of thousands of parents who are the best eyewitnesses to vaccine injury and subsequent sickness/chronic diseases that happened to their children. 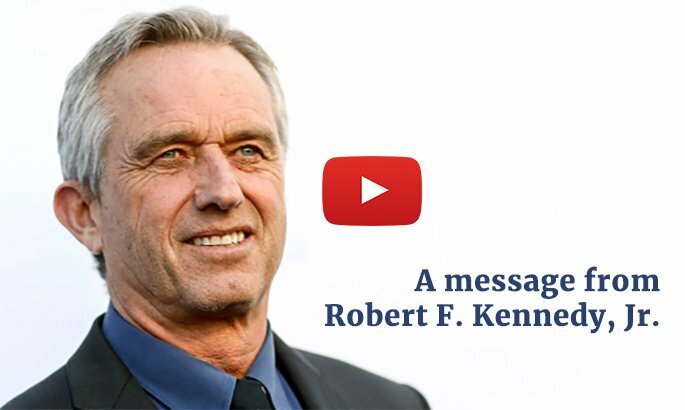 Below are links to videos of real parents telling real vaccination stories — how their children developed chronic illnesses, or even worse, died from vaccines. From their experience, you can learn to protect your children. Throughout this campaign, we will be focusing on the skyrocketing rates of poor health facing today’s children to raise awareness, hopefully find answers to why they are so sick and restore their health. One such story is that of Sarah Bridges and her son, Porter. As you watch Sarah describe what happened in the months and years following Porter’s vaccine injury, keep in mind that Sarah’s story is not an anomaly—in fact, it is echoed by countless families around the country. We cannot let the reality of vaccine injury continue to be buried by those who profit from the perception that vaccines are “safe and effective.” We must all speak up on behalf of our children to ensure their stories are heard and never forgotten. Peanuts killing children? What has happened to cause it? Deadly allergies and other debilitating illnesses are affecting our nation’s children in epidemic numbers. Peanuts are the most common cause of food related death. Watch Robyn speak about her son’s peanut allergies that started with a round of vaccines. Robyn and her family live with eight Epi-pens within reach 24 hours a day. Thirteen percent of U.S. children are in special ed. 1 in 6 has a developmental disorder. Experts say it isn’t better diagnosis or more awareness. Something terrible is happening to our children. CHD asked veteran educator of 25+ years, Mikki Garcia, what she thought. Her answer is both surprising and troubling. In recent years the CDC has made recommendations that women receive flu vaccines and TDaP vaccines during their pregnancy even though the package inserts state there are no long term safety studies to justify this practice. Mothers are reporting miscarriage, pre-term labor and health issues for themselves and their children following these vaccines. A recent CDC study found that pregnant women vaccinated with the influenza vaccine had 2 times greater odds of miscarrying their babies compared to women who did not receive flu vaccine.. Here’s one mother’s story of her twins after a flu vaccine in pregnancy. Parents, Josh and Tiffany, talk about the PANDAS diagnosis of their children and their belief that the condition is related to vaccines. 1 in 6 children has a developmental disorder. CHD Director of Marketing, Laura Bono, tells her son’s story. ADD/ADHD is in every classroom in America. Recent statistics show that it affects almost 11% of children. Each day, children, their parents and teachers struggle with symptoms. There are few answers in mainstream medicine. Often, the medications suggested are dangerous with a long list of undesirable side effects. Treatments outside of the mainstream are often unattainable and expensive. Here is Allie’s story. SPD is hard to understand and much too prevalent in today’s children. With SPD, the five senses (hearing, seeing, smelling, tasting and touching) can be under-sensitive, over-sensitive or have a normal response to input. Each child is different in their responses to sensory stimuli from the environment. Many times, SPD is a co-occurring condition to autism and ADHD/ADD. 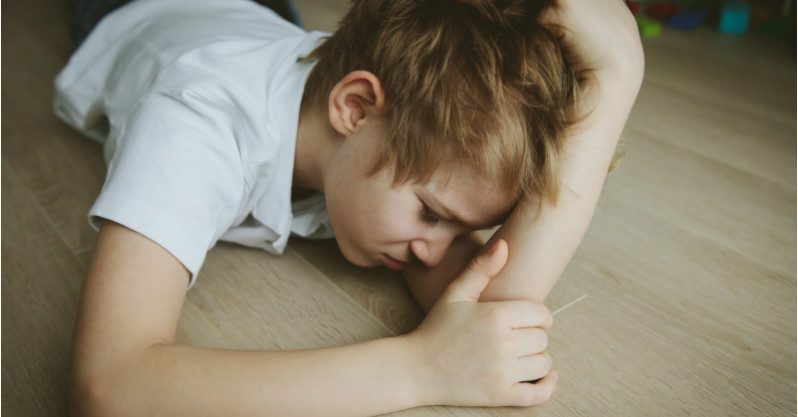 Parents report that SPD can be very disrupting to daily life – horrific tantrums, self-harm and harm to others are common responses in a child who has a sensory processing disorder. U.S. infant mortality rates, which were 6.1 per 1,000 live births in 2010, were double the rates of Finland, Japan, Portugal, Sweden, the Czech Republic, and Norway. Infants in the US are also among the most highly vaccinated compared to other countries. Many parents report that their baby died of SIDS after taking them in for a well-baby checkup and a round of vaccines. CHD believes these deaths need to thoroughly investigated and not dismissed as a coincidence. Here is the story of Mason Bundy and his death after receiving his CDC recommended four month vaccinations. Children’s Health Defense asked parents to send us their families’ vaccine injury stories. Within 36 hours, we had over 6000 stories. Read their personal testimonies from a CHD selection. We can and must do better for our children! Demand vaccine safety research. Children’s Health Defense is asking for everyone’s help to demand vaccine safety science. Our government health leaders in charge of protecting children’s health are urging parents to vaccinate without doing the science necessary to prove all vaccines are safe for all children. Vaccines to go through the same rigorous approval process as other drugs before being approved for use in our children. Everyone involved with federal vaccine approvals and recommendations to be free from conflicts of interest. All vaccines recommended by the Advisory Council on Immunization Practices (ACIP) prior to the adoption of evidence-based guidelines to be reevaluatated. Research on what makes some individuals more susceptible to vaccine injury. Fully informed consent and individual rights to refuse vaccination. Join us to restore child health! Make your own video of your child’s story and post it with the hashtags #restorechildhealth and #childrenshealthdefense. Instructions: Just go to Facebook live. Create your own 1 to 2 minute video describing the illness your child has and how it has affected his/her and your family’s life. We need to chronicle all of these injuries and make sure our government officials watch your eyewitness testimony. Be sure to set your video to “public” so everyone will see it and send it to us so we can add it to the collection. Share all of the eyewitness videos with your friends on Twitter and FB. Please consider a donation to Children’s Health Defense so that these videos can make their way to Congress. Help us educate the public on the real injuries that happen with vaccination every day and help CHD in our requests for transparent vaccine safety science.